MINNEAPOLIS, Minnesota — March 20, 2014— Comtrol Corporation, a leading manufacturer of industrial device connectivity products, today released the DeviceMaster LT16, a highly secure, compact device server for easy integration of serial communication devices into LAN, Internet, or cloud-based systems. 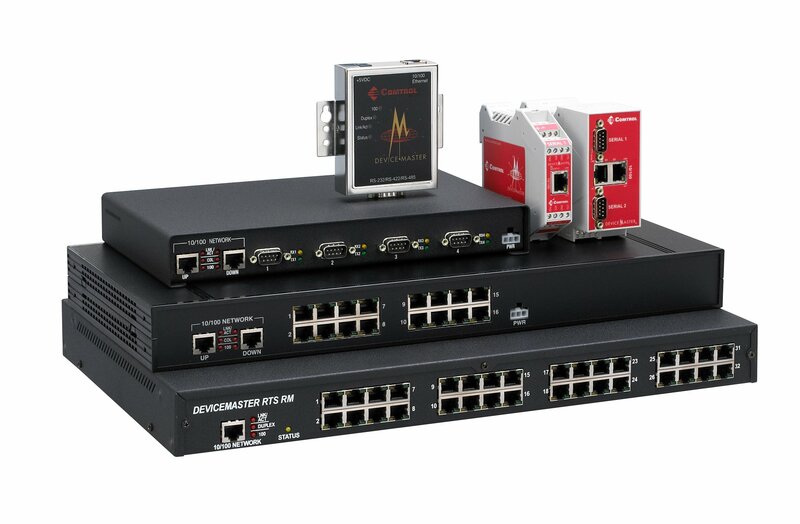 The DeviceMaster LT16 easily links serial communication devices into existing Ethernet networks for remote diagnostics, management, and data collection. With a low-profile design, 16 serial ports, and Windows and Linux driver software, it is ideal for network-enabling barcode scanners, weigh scales, card readers, and POS equipment. For those with existing systems, the DeviceMaster LT16 utilizes serial port wiring compatible with widely deployed device server models from Digi International Inc. This compatibility makes the LT16 a cost-effective replacement for legacy systems while maintaining investment in existing cabling and infrastructure. For compliance with new and evolving data security practices, the DeviceMaster LT16 includes the strongest security and encryption features to support deployment in government, financial, and point-of-sale applications where strict privacy and data standards are crucial. The DeviceMaster LT16 is available in two models for installations requiring AC power or direct DC power systems. It includes Microsoft® certified driver software supporting the latest Windows operating systems and TTY drivers for popular Linux distributions. Comprehensive PortVision® DX network management software is included with each product for configuration, monitoring, and remote management within any network size. 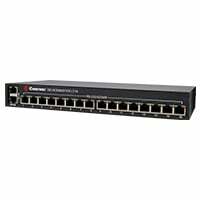 For more than 30 years, Comtrol Corporation has been a manufacturer and provider of quality networking and industrial data communication products, specializing in industrial Ethernet and device connectivity. 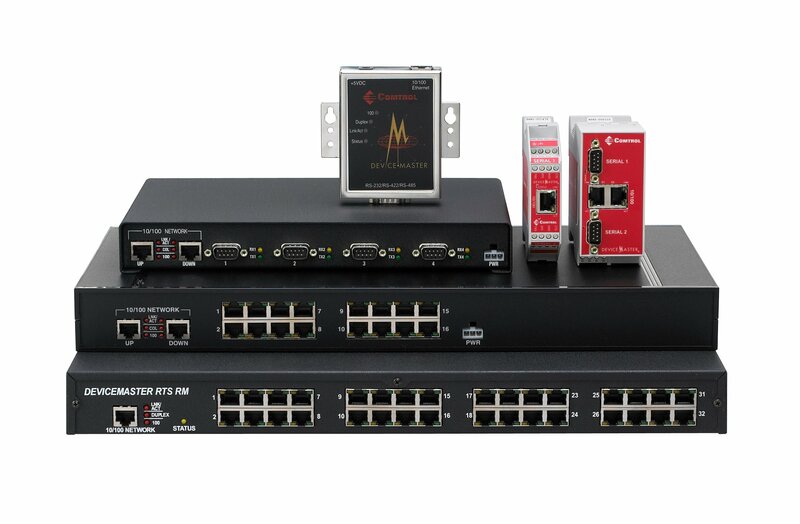 With representation across North America, EMEA, Asia and Latin America, Comtrol sells RocketLinx® industrial grade Ethernet and Power over Ethernet switches, DeviceMaster® Ethernet device servers and gateways and RocketPort® multiport serial cards through distributors, resellers and integrators worldwide. Providing exceptional product and technical support, Comtrol establishes solutions for a wide range of security, energy, industrial automation and traffic and transportation applications. For more information, contact Comtrol Corporation at 800‐926‐6876 or visit www.comtrol.com. Question: How do I go about testing serial ports in RS-232 mode? Test the serial ports using the Test Terminal application in PortVision® DX (or PortVision Plus) and the Loopback plug provided with the DeviceMaster. If you need to create a loopback plug, you may download the instructions HERE. Stop all applications that may be accessing the ports such as RAS, RRAS or any faxing or production software. See the appropriate manuals for instructions on stopping these services or applications. If another application is controlling the port, or if the driver had not been properly configured, then Test Terminal will be unable to open the port and you will receive an error message. Remember to restart the application once testing of the ports has been completed. Why can’t I upload firmware to my DeviceMaster? The most common reason for firmware updates to fail is due to a timer that needs to be reconfigured called the “Bootloader Timeout.” This timer can only be configured when an IP address has been configured in the DeviceMaster and IP communications are active (such as being able to ping the DeviceMaster or open the web page in the DeviceMaster) There are a few different methods to modify this timer. This method is dependent on the version of SocketServer or NS-Link installed in the DeviceMaster. Double-click on the DeviceMaster in PortVision Plus. This opens the “Configure Device” page. At the bottom of this page will be displayed the “Bootloader Timeout:” value. If the option is not present, one of two conditions exist. Change the value to 45 and click on the “Apply Changes” button and then the “Close” button. Now try to upload the firmware. If it is successful, then set the Bootloader Timeout back to the original value. Traffic cabinets in the middle of the hot, arid desert climate of Chandler, Arizona required traffic control devices to be able to withstand 160°F temperatures and to allow easy expansion of the city’s traffic system. 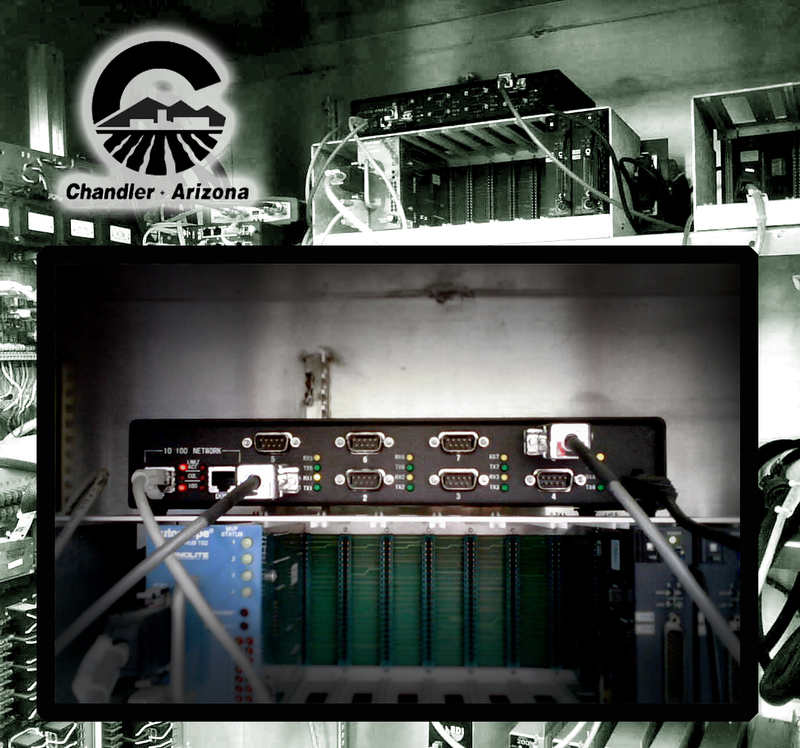 Chandler’s traffic engineers chose Comtrol’s DeviceMaster® RTS to meet these requirements. With its PortVision® Plus feature-rich software, wide operating temperature range, reliability and ease-of-use, the DeviceMaster RTS was the perfect solution to control PTZ (pan, tilt, zoom) traffic cameras, change signal timing for road construction, manage short-term maintenance needs, and even control demands for special events or accidents. I recently uploaded the latest firmware on my DeviceMaster. Now, after the upgrade, it shows SocketServer 8.0 where it would normally give the NSLink version within PortVision Plus. Is this correct? Answer: Yes, this is correct. SocketServer and NS-Link have been incorporated into a single bin (binary) file which may either display the name nslink-8.00.bin or socketserver-8.00.bin, depending on the location it was downloaded from. By default, once loaded, the file will show SocketServer in both the web page and PortVision Plus until a driver begins communication with this particular DeviceMaster. Once a driver establishes communications, the firmware will now ‘magically’ indicate that it is NS-Link without the driver having to upload that firmware to the DeviceMaster, or the DeviceMaster being rebooted as in the past. If SocketServer does not change to NS-Link, then a driver loaded in the PC is NOT in communication with the DeviceMaster. This new firmware also has other capabilities that that when used together provide much more information for diagnostic purposes. For example — If SocketServer is displayed in PortVision Plus, there is no driver yet communicating with this DeviceMaster indicating one of three things: that the driver has not yet been configured for this DeviceMaster or has possibly been disabled or is being blocked by some network configuration such as a firewall. Once NS-Link is displayed, the web pages may be opened and the home page will display the MAC or IP address of all of the PC’s sharing this DeviceMaster unit that the driver is installed in. The serial ports that are open from that particular PC will also be displayed as being open on the identified PC.